A superb shooting star design from our collection of rainbow wall stickers to decorate the bedroom or playroom of the little ones. A colourful decal to give your children's bedroom colour and create a joyful atmosphere where they can all play and have much more fun! You can also check our star wall stickers! Are your kids not happy with their room? Do they find it boring and dull? This rainbow wall art decal should do the trick! Give their room something that they will love. It is also suitable for environments with children such as schools, nurseries and hospitals. Children love colourful designs such as this one! 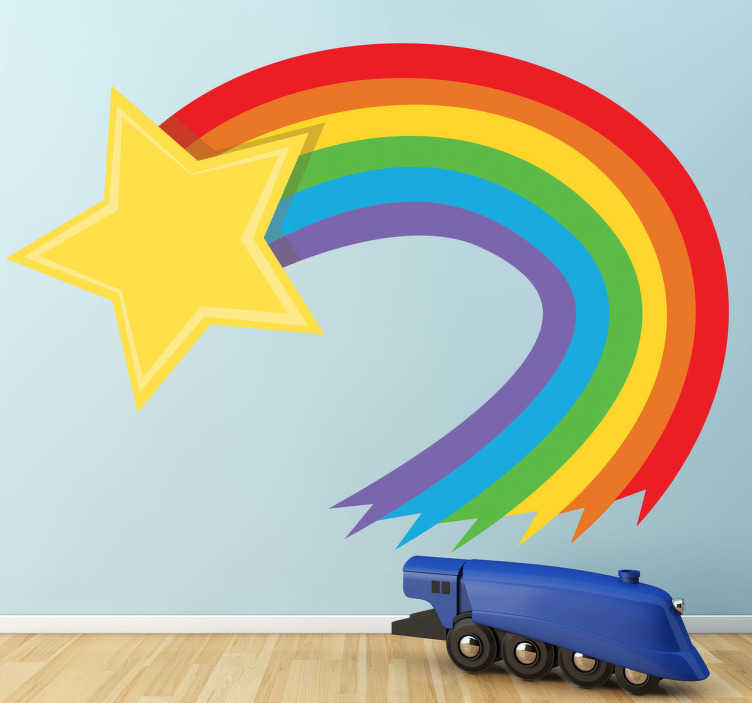 This shooting star rainbow decal is available in various sizes so choose a size that fits your wall or any other smooth surface. Easy to apply and leaves no residue on surface upon removal.